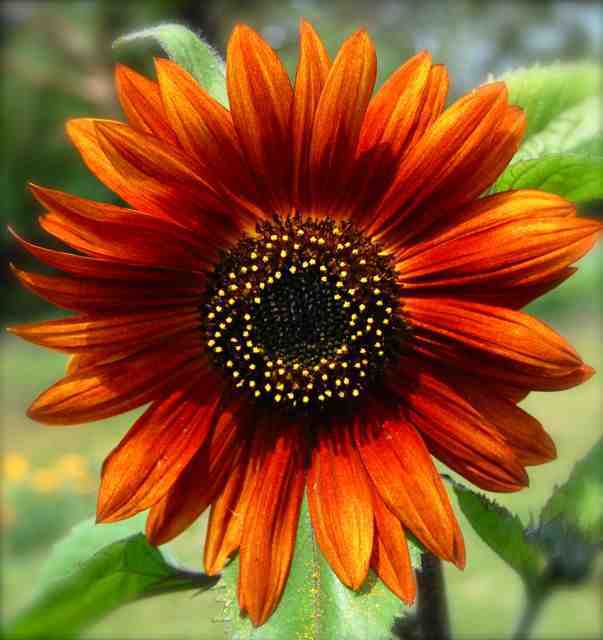 Sunflower ‘Earthwalker’ seeds have become perhaps the best selling sunflower that I sell at Higgledy Garden. Certainly it is the sunflower that is the most photographed and ‘Tweeted’ by my customers. The colour of the flowers is best described as Autumnal….with a big splosh of chocolate. Flowers range from very dark chocolate, through bronze and into tan/yellow. 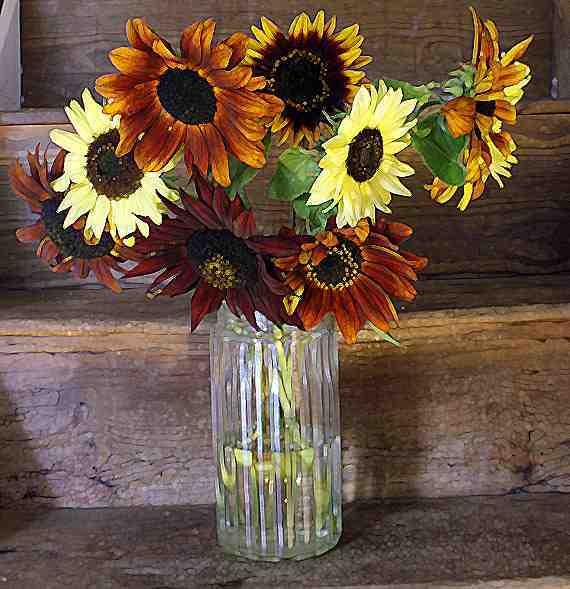 These earthy toned blooms make great cut flowers either on their own or with a range of others. Sunflower ‘Valentine’ has similar sized flowers (16 cm across) and its lemon yellow flowers go perfectly with ‘Earthwalker’. Some seed companies suggest that ‘Earthwalker’ (and indeed many other sunflowers) are hardy and can be sown in the autumn…well…I have NEVER had self sown sunflowers….this isn’t to say that they never will grow from an autumn sowing….but I won’t be selling them as hardy and would only recommend a spring sowing. Either direct sow in mid April or sow in paper pots indoors in early April. Sunflowers prefer a rich soil…they will flower from late July through until late October. If you leave some flowers to go to seed the finches will love you. Sunflower ‘Valentine’. Daucus Carota. Queen Anne’s Lace. Wild Carrot. could be a few things I’m afraid….what sort of soil do you have? Seeds arrived in less than 36hrs, that’s magic mate. Thanks for the free Cosmos seeds, your tongue in cheek, and funny comments on the flowers. I will have to gen-up on Blogs etc, and what’s a Website ULR? Hope it won’t stop this mail getting through.